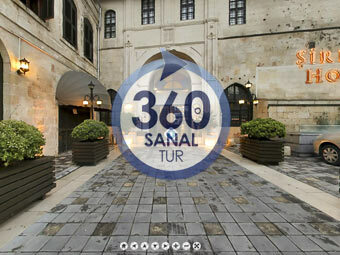 Şirehan Click here to get more detailed information about the hotel. Sire days are one of the most colorful days of my childhood. I never forget that pleasant rush when the heat in Antep fades away and a sweet breeze pats the fertile vineyards around and the taste created by joining hands. Sire, is a mobilization which everybody joins, it is a collective work, a production made by joining together. The reward of this mobilization, this collective work is not appeal to the taste buds but also a delicious taste we feel in our hearts But, first, let me explain what sire is. Ömer Asım Aksoy explains Sire like this in his book called Antep Taste. “Basdık” (dried fruit roll up made with grape molasses), fermented grape molasses, “muska” (a dessert made with pulp), “dilme” (a dessert made with apple and cinnamon), tarhana (soup with dried yoghurt) are made by boiling grape juice.”. “I will go into detail later but I think it will be understood that I will talk about desserts. One of the most known is the starch grape molasses. I am talking about the dessert covered with a dark brown transparent substance which has walnut or peanut inside and prepared with grape and starch-unfortunately I am not sure whether this ingredient is used or not now-. Only the ones, who lived this ceremony know basdık (dried fruit roll up made with grape molasses), muska (a dessert made with pulp), dilme ( a dessert made with apple and cinnamon) and sweet tarhana. I am one of those lucky people. I say lucky, because making of sire, is not a production of a dessert which is eaten during the whole year, sire is a festival, a celebration, a kind of flavor rite. It is an activity which explains that we are not alone in this world, it gives us that glorious enthusiasm, and it proves that there is something like joy of living. Unlike from other living creatures, sire proves that eating food or creating food is not only nutrition but also a social activity. As I mentioned above, this rite starts with breaking the back of that merciless, dry summer heat. Time is the end of September; grass becomes dry, leaves turn into yellow and face towards soil. But not only leaves turn into yellow but the grape falling in bunches from the branches of grapevines become miraculous fruits which dropped honey to the soil. Then only, you feel the rush of sire. Everyone starts to pick grapes from the vineyard. Yes, in those days, everyone had a vineyard. But sometimes, there weren’t enough grapes and additional grapes were taken from the bazaar. But still, the main source was everyone’s own vineyard. The type of grapes used was the same. The name of this grape is “Dökülgen”. I don’t know if there is such a name in the world of grape literature but for an Antep residence, the name of the grape is “Dökürgen”; it is a grape which has a honey colored, thin layered and delicious, as you eat, you want to eat more. This grape is not left to dry in vineyards like the other types. They are taken to home from the vineyard on the back of mounts such as horse, donkey, mule, in big crates called “mahra” in Antep. I am not satisfied with this situation. Because, at times when we carry grapes, I had to walk, in the past I was always on the back of donkey. Also, the distance from the vineyard to the house was not short at all. When I say house, it means big houses which had wide gardens and many rooms. The grapes taken from this vineyard were poured into the kitchen which was at the downstairs of these houses. The weird smell of grapevines and grapes filled the kitchen. After bringing the grapes, the men of the house put a big furnace to the garden. A big boiler which has a 1, 5 diameter called as “mahsere kazanı” (big boiler) was put on this furnace. The furnace was not burned by big logs; it burned with thin dry grapevine branches. Therefore, a strong fire will cause the sire stick and burn. After the furnace was dried, the rotten grapes from vineyards were cleaned. The rotten ones were not disposed, they will put aside for making vinegar. Later, delicious Antep pickles were made from these vinegars. After the rotten grapes were cleaned and washed, they will be poured into a tank called “raft”. A kind of soil which was thicker than powder called sire soil coming from mountain was sifted and poured on the grapes. This will make the sire transparent. After soil was poured, young girls and boys started to trample the grape with their feet. For us, the children, this was one of the funniest moments of sire. We wanted to climb on the raft for trampling the grapes. But our elders prevented us. However, we would find a way and climb on the raft. But our attempt wasn’t last long, our mother or father would slap us and they made us to come off. Anyway, let’s get back to making sire. The juice of the grapes was poured into the big boilers by buckets. Then, furnace was again burned. To burn the furnace was also a festival for us, the children. This fire which was called “alamaşa” (fire burned with fagot) in Antep was much bigger than the fire which we tried to burn on the streets. We immediately took our place in front of the fire and watch the red, yellow flames cover all the bottom of the big boiler like participating in a religious rite. Elders’ eyes were on the boiler. They waited for sire to boil. When it was boiled, they turn out the furnace. The sire in the boiler was taken into alloyed copper basins. After it was cooled, it was cleaned with soil at the bottom of the boiler. By the way, starch is knead by water and it becomes thick like boza (thick, slightly, fermented millet drink). Then, the sire was taken into copper basins was filtered and cleaned. It was very important to filter the sire because first of all we should remove the soil that we add. If the soil is not separated, the color will be blurred and it will not be delicious. It is said that, it is healthy to drink the filtered syrup, especially for stomach ache and throbbing. Yes ... where were we? Alright, we were talking about filtering sire. When sire was filtered, it will be mixed with starch. Of course, the boiler was burned again. The sire mixed with starch was poured into the boiler again. Two people start to stir the sire with a scoop in order not to stick and burn. One person scatter sire with an armed bowl. The scattering part is very important because it makes the color lighten. This scattering continues until the sire turns into honey color. In the meantime, the heat of the furnace is lowered. It is provided to burn in a low heat. Meanwhile, crushed walnut and crushed pistachios were put on a string. If you will use crushed walnut six walnuts are put on a string, if you use crushed pistachio and almond, nine pistachios or walnuts are put on a string. The string which the walnuts and pistachios were put, tied to a stick with ten centimeter interval. There are twelve strings in each stick. Then, the strings on this rope are immersed into sire. This immersion is called “integument”. If the sire is thin, five, six integuments are sufficient, if it is thicker, four integuments are sufficient. But if your sire is not cook well, it is possible that it will pull away and drop from the string, it is a horrible thing. Such work, effort and cost will be wasted. A deep sadness covers the face of the women. But, if it is cooked well, there will be no problem and strings with “integuments” are taken into terrace which Antep people call as “summer cottage”. After dried, they are kept in the locked crates. They are kept because these grape molasses were so delicious that, if they were not kept, they will be consumed in a short time by us, the children, and nothing will left for the winter. Of course, the efforts of elders were tried to be prevented by our courageous attempts, the locks of the crates where starch grape molasses are kept opened and every time we reached to the secret treasure. But we pay the price of dessert we ate by a hot fire spreading from our ears. But, wait, our work is not finished yet. After we make our sweet grape molasses the big boiler is washed. Sire is made again but this time it is made thinner than the previous one. This sire, is left to dry by lying on white cloths with a trowel. After dried, the sire on the cloths is removed. The name of this dessert is “basdık” (dried fruit roll up made with grape molasses). Like dried fruit roll up, grape molasses are placed in the crates. Then another dessert is prepared. Again, the same sire is prepared but this time thin grind cracked wheat is put inside. It is boiled until stiffen. By this way, our sweet tarhana is prepared. During making sire, there is a collective life at homes. Relatives come for help and stay overnight. Meals are prepared together, meals are eaten together. For us, the children, it was a real feast. Our relatives children come, we play day and night. Since the daily routine is destroyed, nobody says “go to bed”, “do this, do that”. We had the freedom to do anything we want until the sire is finished. When the sire is finished, the traditional routine at home is destroyed, everybody became serious. We, children, dreamed of joyful days and wait for the sire days in next fall. Today, sire is not made in Antep because now there are no vineyards in Antep. Now, sire is only produced professionally in private facilities. Maybe, that’s why, our sire is not delicious anymore. It is made for earning money. When the laughter, games and love which touching the grape were missing, dessert lost its taste.